Like many homeowners, I have noticed some uninvited guests in my house. The Asian beetle, boxelder bug and the brown marmorated stink bug. Of the three, only the boxelder is a native species to the area due to the boxelder tree, as well as maple and ash trees. This, however, does not make them any less of a nuisance. Alec Dakin of Sure Shot Pest Control in Greenville has been fielding calls from numerous homeowners in the area who are experiencing issues with all three insects. Both the brown marmorated stink bug and as its name suggests, the Asian beetle were accidentally introduced to North America from Asia. All three insects are seeking warm homes in the fall to lie dormant in the winter. 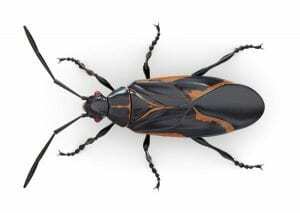 While none of them cause harm to animals or humans, boxelders and Asian beetles can stain vinyl siding if there is large enough infestation, according to Dakin. It should be noted that some homeowners may think they have an issue with ladybugs, when in fact, they have problems with the Asian beetle. Asian beetles tend to be larger in size and more orange in color. All three bugs fly, making it easy for them to make their ways into the home and flutter around without capture. Dakin suggests treating the exterior of the home in the fall to prevent the bugs from entering in the first place. Neither boxelders or stink bugs bite or sting but the Asian beetle has been known to do so. Dakin has had clients complain that their Asian beetle infestation is so severe, that they will awaken with several bites from the invasive insect. Michigan State University published an article on March 15 regarding the brown marmorated stink bug. It notes that the bug has been established in 61 counties throughout the state and is well established in the southern lower peninsula. As noted previously, the stink bug does not harm animals or people but due to it being a plant-eating insect, it has become a major pest for farmers who grow fruit, vegetable and ornamental crops. As its name suggests, the stink bug will produce a pungent odor when it is squashed or feel threatened. I didn’t want to have an unpleasant odor lingering in my house, so as suggested, I lightly grab the bugs with a tissue and flush them down the toilet. It is also recommended to dispose of them in soapy water. Again, prevention is the best route of action. In my house, old windows, ripped screens and gaps near window air conditioning units are likely entrance points for the pesky bugs. Dakin recommends looking around the house to find entry for bugs and seal those areas accordingly. In the event there is an infestation issue, it is best to call a professional to handle it and help prevent future problems.